Allelujah! — things she saw. One of my biggest theatre regrets is not having seen 'The History Boys', being as I was still at school and not nearly as passionate about theatre as I am now. The film version remains my favourite film, and so there was no way I was going to allow the opportunity of seeing a new Bennett play on stage. The concept of 'Allelujah!' is almost like something set up by an Alan Bennett play generator: the setting is one Bethlehem Hospital, specifically the geriatric ward. The hospital is a cradle-to-grave facility in an unnamed Yorkshire town, threatened with closure by those in London. The play itself bears all the hallmarks of Bennett's work: his voice comes through clearly, the jokes very 'Bennett.' The performance is peppered with evocative songs, literary references and the teaching of literary terminology (here, 'The History Boys' gerund is replaced by tmesis). There are some, almost pastiche, characters: one in particular bears more than a passing resemblance to 'The History Boys'' Rudge. However, none of these things seem conceited or tired. 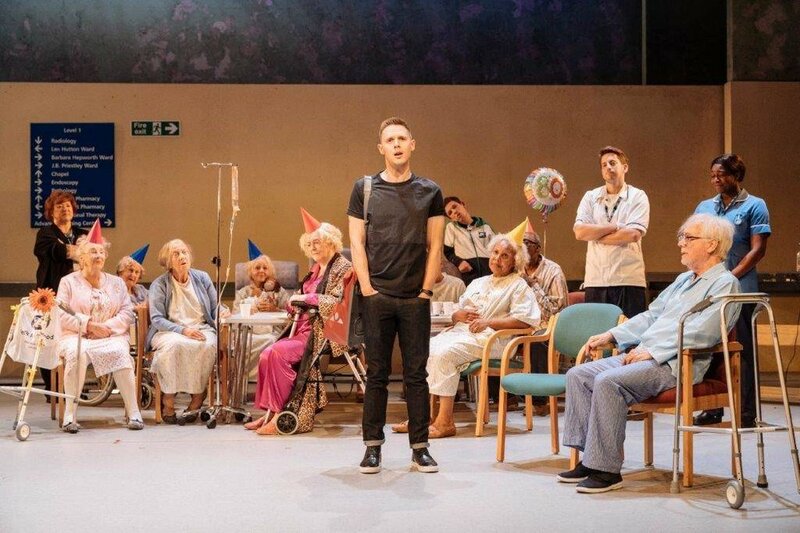 The play is a fierce defence of the importance of the NHS. Many of the characters seem to act as a mouthpiece for Bennett's rage at the government. Sacha Dhawan's Dr Valentine is, in particular, offers an impassioned fourth wall break in the play's dying moments. It is in fact Dhawan's performance which, for me at least, is the strongest, deepest and most multi-faceted. There are some pertinent moments in the 'B' plot of the play too: the use of music and Arlene Phillip's choreography allow the elderly residents of the ward to break from the apparent shackles of their conditions and disabilities, and live as they have always lived in the rest of their lives. These moments pack a real emotional punch, and invite the audience to reconsider our societal approach to the care of the elderly. We must do better. Other stand out performances come from Samuel Barnett as a post-Thatcherite Colin, minion of the Health Secretary threatening to close the hospital and son of one of it's patients; Peter Forbes as Salter, the hospital manager with no experience (apart from two stints as Lord Mayor) and a love for the cameras and Deborah Findlay as the criminally efficient Ward Sister. The production truly is an ensemble piece, however, and the cast work wonderfully together. 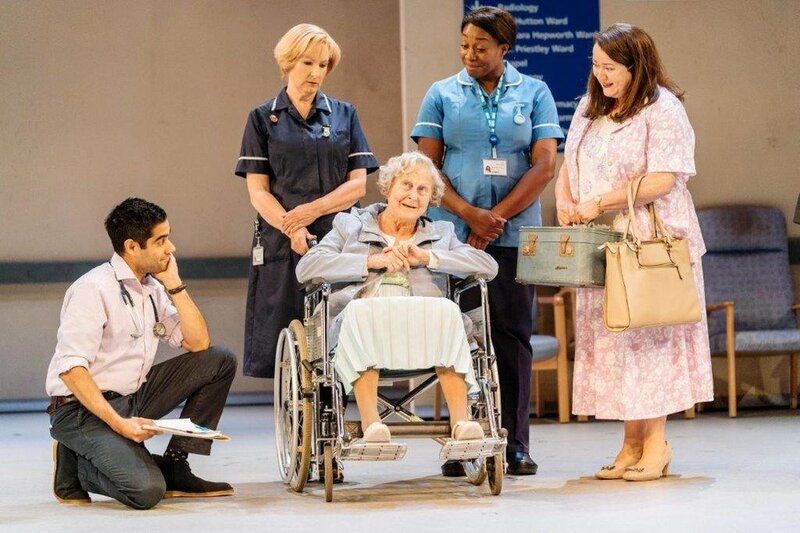 There are some moments in Act 1 which feel off-pace, and whilst I can understand the direction Bennett takes Sister Gilchrist (I shall say no more for fear of spoilers, but it relates to the pressures on the NHS) I do not feel it necessarily entirely fits with the tone of the remainder of the play. These are small quibbles, though. In Bennett's defence of the NHS I felt not only my own thoughts echoed, but seemingly those of the audience, too. There were moments - lines - where there was a murmur of assent or soft hiss of disapproval. This wasn't pantomime though, but more a reflection of the strength of feeling amongst, at least, a packed house on 25th July 2018. 'Allelujah!' is playing until 29th September 2018, with tickets available here. The production will also be filmed live and broadcast to cinemas across the country on 1st November 2018. Aug 10 harry potter and the cursed child.